Continuing from the previous post on Stanley K. Stowers’ chapter, “Does Pauline Christianity Resemble a Hellenistic Philosophy?” . 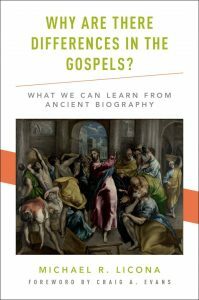 . .
His comparison study does not make claims about origins; he is not arguing that Christianity began as a Hellenistic philosophy. Comparison or similarity does not mean sameness; he is not arguing that Pauline Christianity was a philosophy. Similarities with philosophical schools do not exclude similarities with other social groups. With that ground cleared, following are seven similarities Stowers identifies. There were, for example, Stoics, Cynics and Epicureans. Each of these had its own attitude toward life and idea of what is the single umbrella good to which one must strive. Stoics taught that virtue was “the answer” to the question of life. Everything else, all the other values and attachments deemed to be good were subordinate to “unitary good” of virtue. Family, possessions, would always take second place in the event of any conflict in following the ideal of virtue. For Epicureans the ultimate good was freedom from pain and friendship. And so forth. For Paul, the single, overriding good was “life in Christ”. Other values such as marriage, the household, business, ethnicity, were secondary. Even the commandments of God in the Jewish scriptures were superseded by Christ. Yes, Paul’s stress upon worship of only one God and not many, and his “apocalyptic intensification” of these beliefs was Jewish, but Paul ripped them away from their ethnic, cultic and legal Judean contexts. Ordinary civic virtue and conventional values were not the way to “happiness” or the “good life” according to Hellenistic philosophies. The philosophies taught new ways of thinking, new motivations and desires to cultivate. Asceticism was valued. In this context Stowers believes it no accident that the founders of the Hellenistic schools were not married and that Jesus and Paul were not married either. Paul challenged both Gentile and Judean norms of culture. The wisdom of God was set in opposition to both Greek and Jewish values. Stoics taught that the conversion was instantaneous. Other philosophies apparently ridiculed this Stoic idea of the way to attain virtue and taught, on the contrary, that virtue could only be attained gradually, over time, through a series of graduated steps. I have long been intrigued by the second century “church father” Justin Martyr identifying himself as a philosopher, not a “priest” or elder or bishop or other ecclesiastical type of title. He left it on record that he came to Christianity after surveying a range of other philosophies, not religions. a literary culture of interpolations. Time-warp forward to 2001 and the chapter titled “Does Pauline Christianity Resemble a Hellenistic Philosophy?” by Stanley K. Stowers in Paul Beyond the Judaism/Hellenism Divide (edited by Troels Engberg-Pedersen) and we find a rather solid explanation for Justin’s identification, I think. 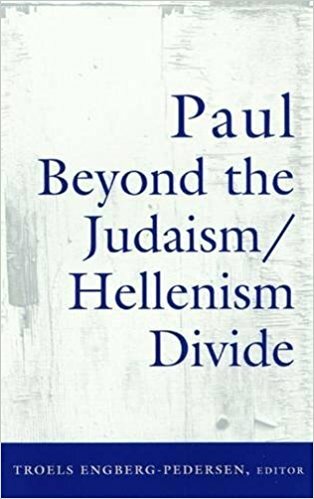 What Stowers is trying to get through to us is that we need to jettison any notion that when Jews were meeting in synagogues they were in some sense being astonishingly different from anyone else, and it therefore follows that scholars should be very careful before suggesting that Paul’s churches (and gentile Christianity itself) grew out of the synagogue. Stowers argues that before 70 C.E. Jewish worship, even in the Diaspora, was centrally focussed on the temple in Jerusalem. The great temple festivals, tabernacles, pentecost, passover, were celebrated by Judeans throughout the empire. These were agricultural festivals that celebrated the gifts of produce and livestock that God gave his people, of success in trading and in acquiring the blessings of children. Judean religion was focused on the idea of reciprocal exchange with God. God blessed his people; his people offered sacrifices and gifts and communal worship in return. And the temple was the focus of this exchange. Stowers writes that the religion of a Judean living 500 miles from Jerusalem differed little in principle from the one living 20 miles away. Other cultural groups, those from places other than Judea, throughout the empire, recognized these Judean religious customs as counterparts to their own.